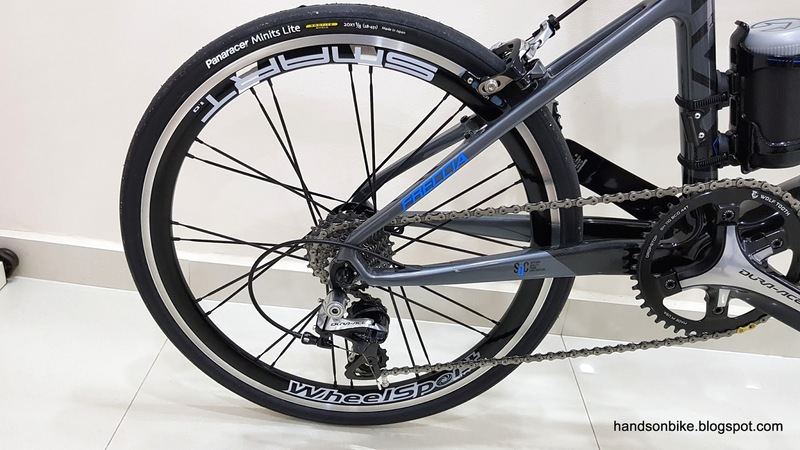 The Java Freccia carbon mini velo has a fast set of tires, the Schwalbe One 451 tires. It is a narrow set of tires, with a width of just 23mm. 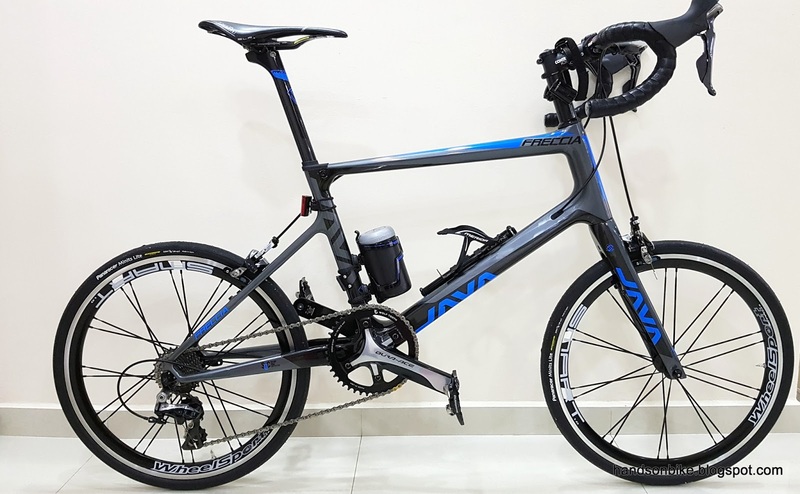 This was chosen partly due to the target of building a super lightweight mini velo, which meant that narrower tires are preferred due to the lower weight. However, one downside of these set of tires is the need to pump them to high pressures. With a maximum tire pressure of 160 PSI, it is necessary to pump these tires to 120-130 PSI for a good ride. Any lower and the tire feels kind of wobbly. At this high pressure, the ride is quite harsh compared to wider tires. After I recently got the Canyon Endurace, with the comfortably wide 28mm tires, these narrow 23mm tires feel even more harsh in comparison. Besides, I am now convinced that wider tires can also be just as fast. 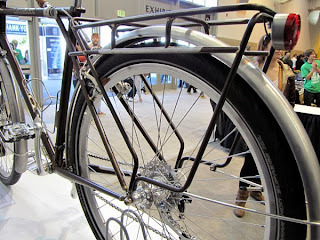 With this in mind, I decided to change to wider tires for more comfort on the Java Freccia carbon mini velo. Note that the tire choice and tire pressure is a much bigger factor in ride comfort than frame material. 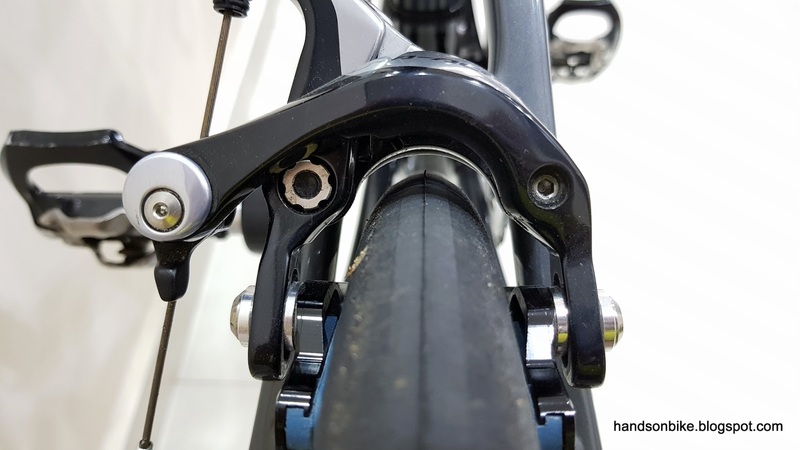 Therefore, a stiff, harsh frame with a good set of tires at a comfortable pressure will always ride more smoothly than a "forgiving" steel or titanium frame with overly stiff tires. 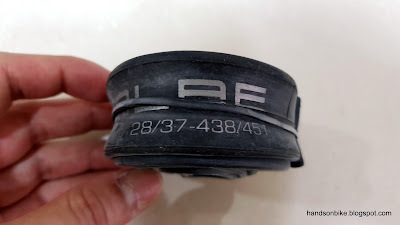 While searching for suitable 451 tires that are wider, I found that the selection of wider 451 tires is quite limited! 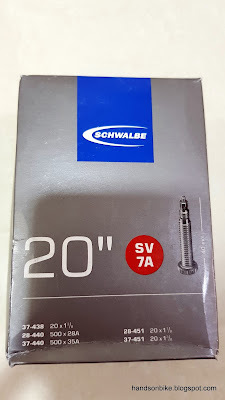 For Schwalbe, it is mainly the Durano which has a width of 28mm. However, it is only available in wire bead type which is heavier and also non folding. Tires with wire bead can be more difficult to install onto the rim as compared to those with a folding bead. Finally, I decided to get the Panaracer Minits Lite 451 tires, which has a width of 28mm. 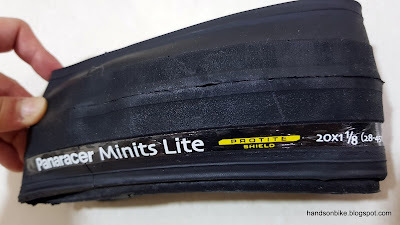 Although these are heavier than the 23mm wide Schwalbe One tires, my priority is now on improving the ride comfort on the mini velo. These tires are about SGD 35 each from Taobao, which is a good price for tires that are Made in Japan. 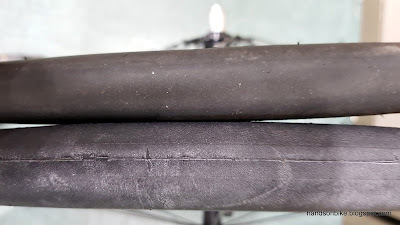 Of course, don't forget to order suitable inner tubes too. 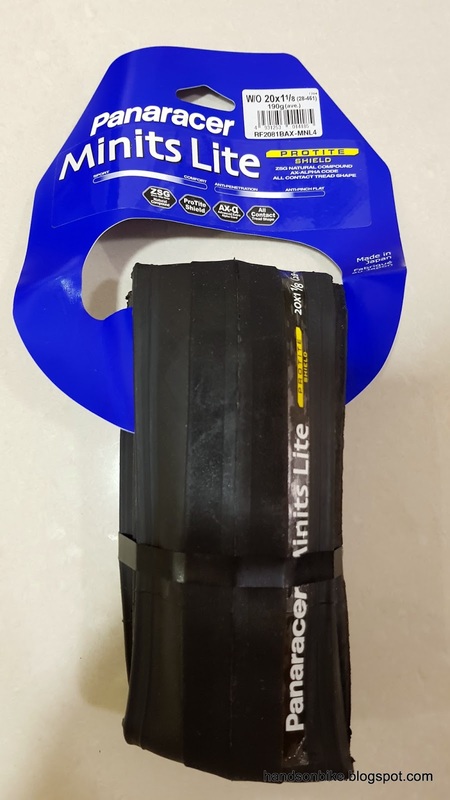 The Schwalbe SV7B inner tubes cannot be used for these new tires as those are only for the narrower tires. 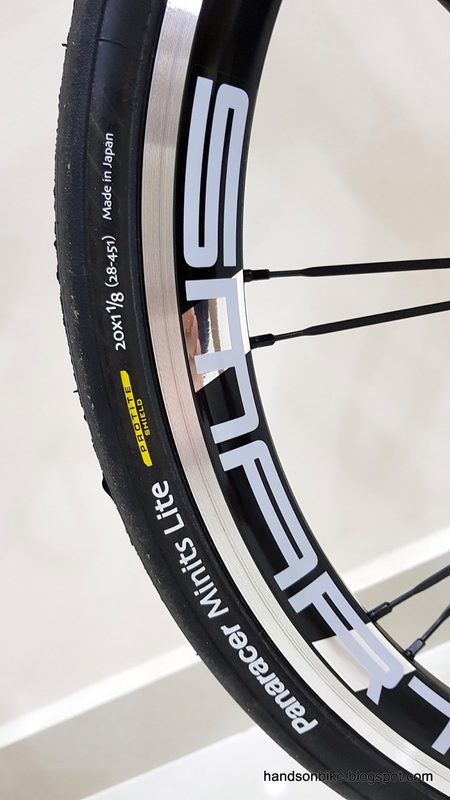 Panaracer Minits Lite 28-451 tires. Hopefully they will give a more comfortable ride! This tire weighs 201 grams. The previous Schwalbe One tires weighed 162 grams each. 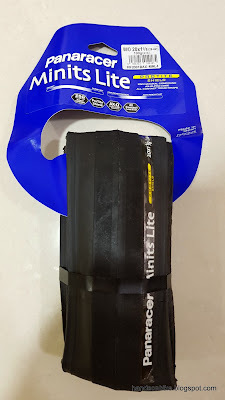 Wider Schwalbe SV7A inner tubes to match the wider tires. Fits a wide variety of tire sizes as shown on the box. Can even be used for 37mm wide 451 tires! This SV7A inner tube weighs 98 grams, as compared to the SV7B inner tube that weighs 78 grams each. 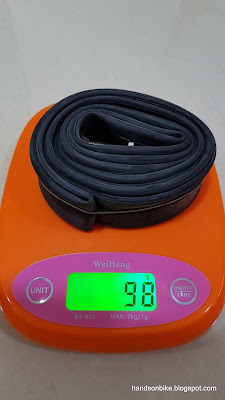 Switching to these wider tires and inner tubes will increase the weight of the bike by about 120 grams. When lighter weight is the priority, this makes a difference. However, when comfort is now the priority, the slightly heavier weight is acceptable. Width of Schwalbe One 23-451 tires was actually about 23.6mm. Quite close to the advertised width of 23mm. 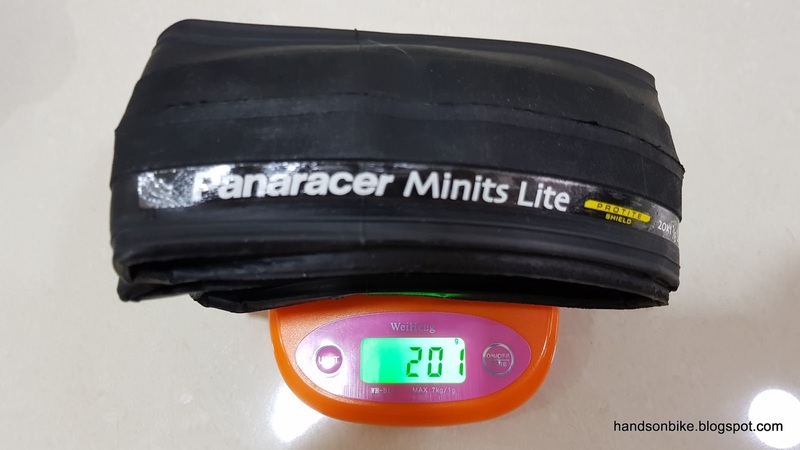 Width of Panaracer Minits Lite 28-451 tires on the same rim gives a tire width of 26.7mm. This is less than the advertised width of 28mm. 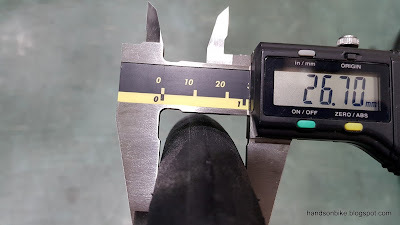 Strangely, the actual tire width of the 28mm Panaracer tires is narrower than the specified width. This is uncommon as the actual width is usually wider than the advertised width. 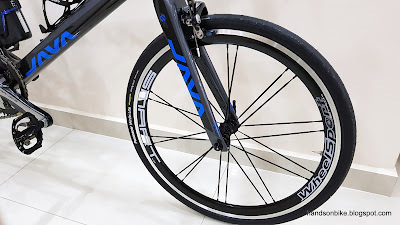 For example, the actual width of the Continental Grand Prix 4 Season tires on the Avanti Inc 3 was wider than the specified 28mm width, while the Continental GP4000 tires on the Canyon Endurace was also wider than the specified 28mm width. 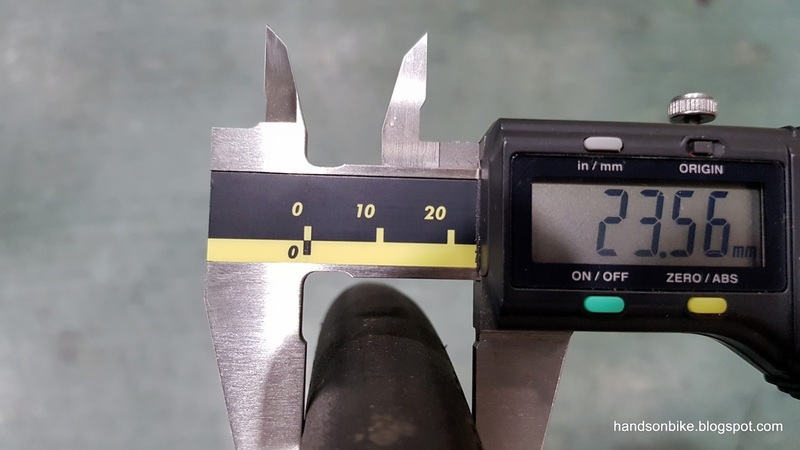 Of course, this depends on the rim width, but the general trend is for the actual tire width to be wider than the specified tire width. 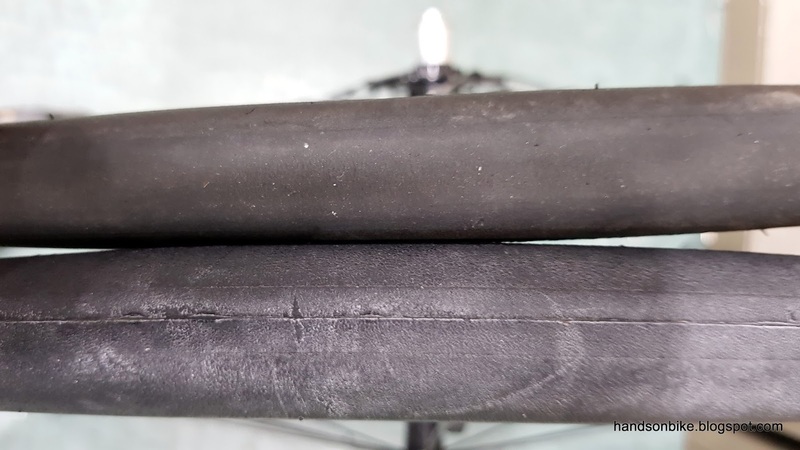 Comparing the tire width and surface side by side. The new Panaracer tires at the bottom is only slightly wider by about 3mm. 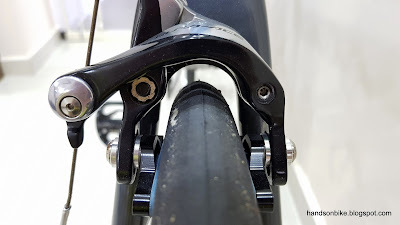 I was expecting the Panaracer tires to be wider by about 5mm, as the width was changed from 23mm to 28mm. However, the increase is less than what I expected. Instead of being bothered by the tire width, I decided to pay more attention to the tire pressure instead. With the new Panaracer tires, the maximum tire pressure is 100 PSI. This is much more manageable, as I can pump the tires to about 80-90 PSI instead of 120-130 PSI. 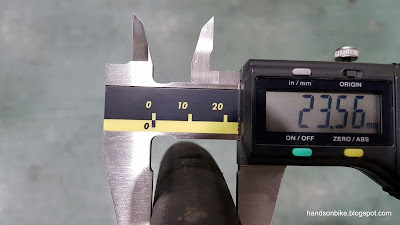 This pressure is also achievable by a hand pump, as compared to 120 PSI which is very difficult to reach. New Panaracer tires installed on the Java Freccia mini velo! No big change in appearance. Tire specifications printed clearly on the side wall. Same new tire on the rear wheel. As shown previously, there is plenty of clearance between the tire and the brake calipers. Therefore, changing from 23mm to 28mm (actual 26mm) tires is not an issue. One potential problem with these new Panaracer tires is that it seems to pick up more debris from the ground. Hopefully this is just due to the new tire surface, and not pose an issue later on. Java Freccia carbon mini velo with the new Panaracer Minits Lite 28-451 tires installed! Almost no change in appearance. After test riding the bike with the new tires, I still need some time to get used to the different riding feeling. 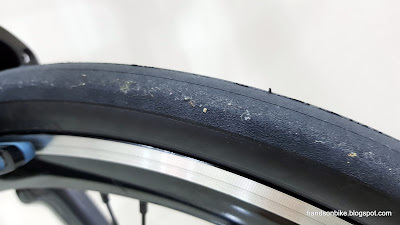 Compared to the previous tires, it feels significantly smoother, which causes me to keep checking if I got a puncture or not. Of course, there is no puncture, the difference is due to the more compliant tires which absorbs more vibration from the ground. At the beginning, the new wider tires may feel slower, as you feel less vibration while riding. However, the speedometer does not lie and still shows a good speed even though there is less vibration. What we need to get used to and understand is that more vibrations does not equal to more speed. Overall, this is a good upgrade as it reduces the harshness of the previous high pressure tires. Although there is some weight increase, this is OK for me as it is still a lightweight bike, and it still rolls fast with more comfort! 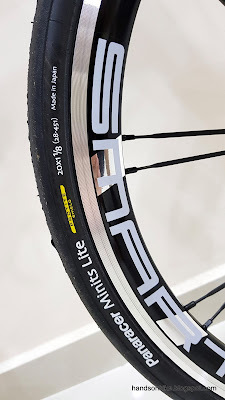 I have the 32-406 panaracer minits lite pt, their actual width on litepro 14c rims are only 28mm, look similar to durano tires. 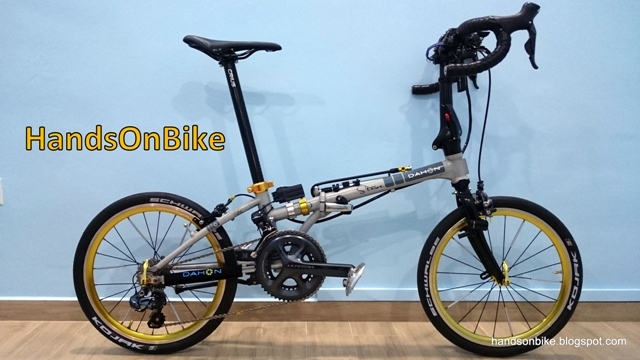 Frame is from Taobao, wheels are Wheelsport wheels from the distributor. Price depends on your exact setup.